Summary: A sermon intended for men who have a hard time praising God and the wife He gave them! Oh Heavenly Father, my God above, thank You for Your undying love. You granted mercy upon my life during times that I was a wretch undone, a sinner who knew nothing about the true meaning of being saved, sanctified and filled with the Holy Ghost. Yet You brought me out of darkness and have constantly held me up to be a living testimony of Your goodness. Lord, I thank You for the opportunity to be before Your people and to deliver Your message to men. God, I ask right now that you remove my gender from the minds of those who read and hear Your Word and allow them to receive You who dwells inside of me. In the name of Jesus, I pray......Amen! Genesis 2:24 ...THEREFORE SHALL A MAN LEAVE HIS FATHER AND MOTHER, AND SHALL CLEAVE UNTO HIS WIFE; AND THEY SHALL BE ONE FLESH. First of all, this is not a sermon for the purpose of criticizing or attacking the self-esteem of our brothers. I am sure that during your life time you have had enough of being cast down, castrated and your spiritual lives (the sincerity of your spiritual lives) being questioned by people who are not right with God themselves!!! You see, the bible clearly tells us in Galatians 6:1 and Romans 12:1 through 2 that, BRETHEREN (that’s you and me) IF A MAN BE OVERTAKEN IN A FAULT, YE WHICH ARE SPIRITUAL, RESTORE SUCH AN ONE IN THE SPIRIT OF MEEKNESS; CONSIDERING THYSELF, LEST THOU ALSO BE TEMPTED! I BESEECH YOU THEREFORE, BRETHERN, BY THE MERCIES OF GOD, THAT YE PRESENT YOUR BODIES A LIVING SACRIFICE, HOLY, ACCEPTABLE UNTO GOD, WHICH IS YOUR REASONABLE SERVICE. AND BE YE NOT CONFORMED TO THIS WORLD; BUT BE YE TRANSFORMED BY THE RENEWING OF YOUR MIND, THAT YE MAY PROVE WHAT IS GOOD AND ACCEPTABLE AND PERFECT WILL OF GOD. ......therefore, by the will of God and not my own, my duty is to encourage you from a perspective that you will never forget...you may not like it and that’s alright, as long as the gospel truth prevails in His house! The challenge of cleaving to your wife! Out of the dust of Africa, God created a man who was created in His own image and that man was wonderfully blessed! He was perfect, he didn’t have an evil thought in his mind and because he was created, God put into him all the potential he would ever need to live a perfect life. God also gave Adam the ability to have free will and a mind of his own! We all know the story of the Garden of Eden. God put Adam where He wanted man to be and the only thing He told Adam to do can be found in Gen. 2:15 where Adam was told to tend and care for his homeland. Adam had the free will to eat of any fruit, but God warned him not to eat of the Tree of Knowledge of Good and Evil. He was told, if you eat of this tree, you will surely die! God was so kind and merciful and considerate of Adam’s well being that in Gen. 2:18-25 we know that the Lord provided Adam with a companion to help him. How many of you realize that God, in doing this, was also creating romance? When Adam woke up from the sleep God put him under- he felt his side, looked up, saw Eve standing there and said, WO MAN!! And that is how he named her woman-for when he saw that perfect, beautiful creation, it was love at first sight!!! God created a perfect match for each other and never again in the history of civilization has that been done! She was bone of his bones and flesh of his flesh. And through this couple, Adam and his wife, Eve (our first parents)- God created marriage, human communication, relationship and spiritual authority. In Eden, life was easy and God set up the foundations of emotional and intimate relations which we call romance today ( or courting!). They were not created in the same way and man had the responsibility as head of the homeland to not only take care of his wife’s physical needs, he had to take care of her training and provide for her safety! She was not complete without him, nor was he without her! It is obvious that at some point Adam was overcome with a fault or he forgot to take care of his woman- somehow there was a communication gap, a pause in their relationship, because while her man was not around, Eve fell for a trap of another created one, called the Serpent. 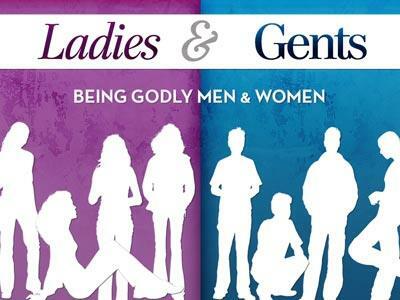 A sermon intended for men who have a hard time praising God and the wife He gave them!